APPLICATIONS: Fits Berger Snow Rail systems including E-Rail, F-Rail and S-Rails. 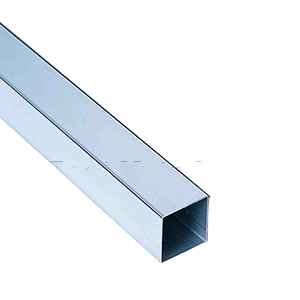 16 gauge, 1x1 inch square tubing. 20’ Lengths. ASTMA-554, type 304 Stainless Steel. Ultimate tensile strength is 74,000 PSI and yield strength is 29,000 PSI.